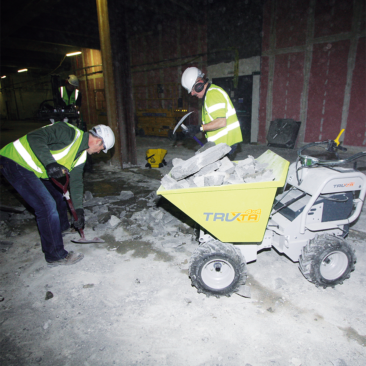 TRUXTA 4×4 Powered Mini Dumpers and Powered Wheel Barrows are built for hire. Robust, easy to use, easy to service and an excellent tool for professionals and DIY. 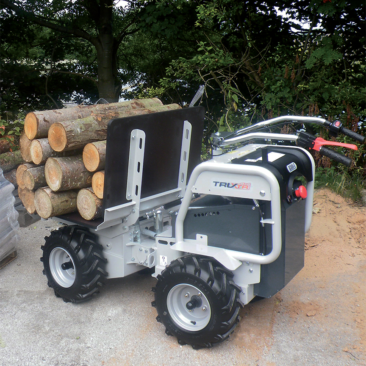 TRUXTA 4×4 is for builders who need a Powered Mini Dumper or Wheel Barrow to manoeuvre heavy weights. 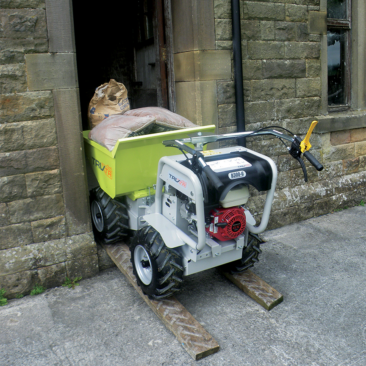 Making light work of slopes with a battery powered option for noise and emission sensitive environments. For landscapers the TRUXTA Powered Mini Dumper or Wheel Barrow has a variety of attachments: Flat Bed, TowBall, Snow Plough. A versatile machine built for all sorts of environments.